K cup is the most popular single serve coffee packaging solution in North America market. When Keurig lost its K-cup patents in the fall of 2012. Lots of companies are making their own brands now. 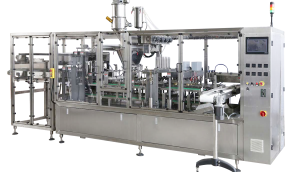 Because of low cost and easy to operate, AFPAK has helped over 30 different sizes companies to make the K cup filling sealing packaging line in the past 5 years, which are all well running in their factories. This is our newest designed machine which can produce up to 4800 cph for the growing, mid-sized company. 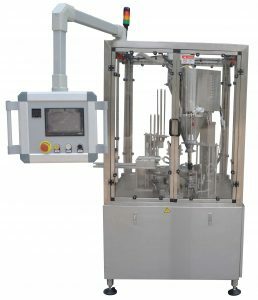 The machine has an auger filler which provides a simultaneous Nitrogen injection into the container. This machine can produce both welded kcups and seperated kcups capsules, Pre-cut aluminum foil or Rolled film can be choose by your side. 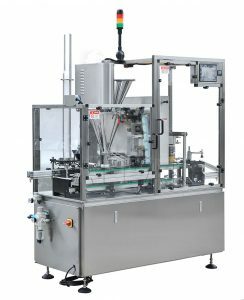 This machine can change molds to fit different capsules like nespersso/lavazza etc. Get a quotation of AF-RK1S machine in 4 HOURS!!! This is our rotary type and smallest machine which can produce up to 1500-1800 cph for the startup companies. Small footprint size, easy to use and maintain. This machine can produce both welded k cup capsules and separated K cups, Pre-cut aluminum foil or Rolled film can be choose by your side. Get a quotation of AF-RK1 machine in 4 HOURS!!! This is our smallest machine which can produce up to 1500-1800 cph for the startup companies. This machine can produce other types of capsules in one machine, Pre-cut aluminum foil or Rolled film can be choose by your side. Get a quotation of AF-H1 machine in 4 HOURS!!! This is a popular machine which can produce up to 3000-4800 cph for the growing and mid-size companies. Servo Motor controlled Vertical auger to fill. This machine can fill coffee/tea/milk powder, etc. This machine can produce both welded kcups and separated kcup capsules, Pre-cut aluminum foil or Rolled film can be choose by your side. Get a quotation of AF-H2 machine in 4 HOURS!!! This is a popular machine which can produce up to 6000-9000 cph for the mid-size and large size companies. This machine can produce both welded K cups and separated k cups capsules, Pre-cut aluminum foil or Rolled film can be choose by your side. Get a quotation of AF-H4 machine in 4 HOURS!!! Get a quotation of AF-B10 machine in 4 HOURS!!! 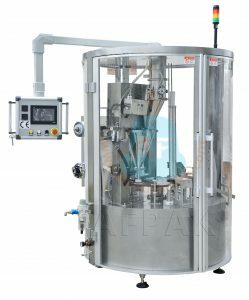 AFPAK offer Custom-build K cup Kshot filling sealing machines service for higher speeds and different filling materials requirement. Just contact us freely for any need.